The ground is tidy looking, in a nice setting, with lots of trees behind the stands. Swans fans are behind the goal in the Radio Cabs Stand; it’s an uncovered terrace so sunscreen and hats are likely to be ‘must take’ items. It is possible Swans fans may be in seats in the covered Screwfix Community Stand, along one side of the pitch. Food on offer includes pasties (something this part of the world does extremely well), pies, hot dogs and sausage rolls. A trip to Yeovil is a pleasant one and also a chance to see Darren Way in the Yeovil dug out. A midweek game before school holidays start means events are thin on the ground in the area. On the Friday, Yeovil’s Octagon Theatre (BA20 1UX) has Faith: The George Michael Legacy 2018 showcasing the late star’s hits. Tickets are £24.50. For a few more ideas on things to do, take a look at the Visit Somerset page on Yeovil or the Yeovil Town & Town Council website. The Supporters Club bar is for home fans only. There are three pubs within 10-15 minutes walk, ‘The Bell’ – a Hungry Horse pub (BA20 2EW), ‘The Arrow’ (BA21 3TL) and ‘The Airfield Tavern’ – Brewers Fayre (BA22 8UX). I’ve always gone to ‘The Arrow’; a massive pub with football on the big screen, and a very football-orientated pub, where home and away fans can mix no problems. Head towards the housing estate, and take the left road around it, follow the road around for about 7 minutes, turn LEFT and it’s next to the vet’s surgery and Tesco Extra. ‘The Airfield Tavern’ has a chippy across the roundabout called ‘Palmers’. If you prefer a stop-off on the way, Stoke-Sub-Hamdon is a little village outside Yeovil. Drive through the narrow main street and you’ll see the ‘Half Moon’ (TA14 6RL) on your left, with the ‘Fleur-De-Lis’ (TA14 6PU) past that. If you go into Montacute you’ll see the ‘Kings Arms’ (TA15 6UU) on the right and the ‘Phelips Arms’ (TA15 6XB) further on, on the left. Both pubs are welcoming and do good food and beer. There’s parking for 800 cars at the ground (£3) but can take a while to get out of. Street parking is available on the roads leading to the ground. 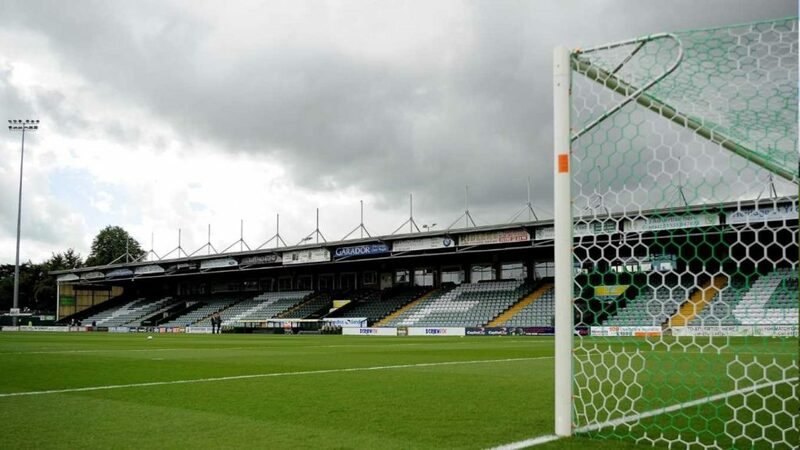 Both train stations (Yeovil Junction and Pen Mill Junction) are a taxi ride away from the ground, best book a taxi for after the game. Bus 68 runs from both Yeovil Junction & Yeovil Pen Mill stations to the town centre. You can then take the regular First Traveller No.1 service (every 15 minutes), which drops you near the stadium at the Abbey Manor Park Housing Estate. The 68 connects with the No.1 at the Lloyds TSB Bank, on the town centre High Street (make sure you catch the No.1 with ‘Abbey Manor Park’ on the front). A few yards away from this change is the Mermaid pub. Train travellers can buy a “Plus Bus” ticket with their rail ticket for an extra £2.80 which is valid on both the 68 and 1 services. Trains from Swansea to Yeovil Junction take 4 hours and leave at 11:29, 12:29 and 13:29. Not surprisingly there are no trains back to Swansea after the game.